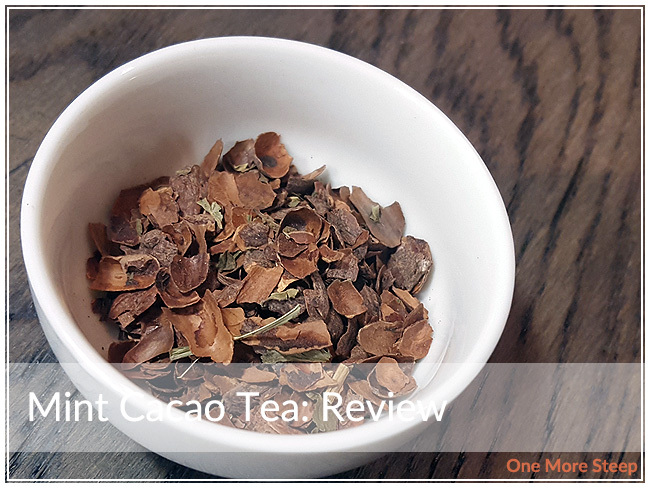 Tisano has provided me with Mint Cacao Tea for the purposes of providing an honest review. The pairing of mint and chocolate has been a steady part of my life for a very long time – one of my dad’s favourite flavour combinations is mint chocolate (especially in the form of ice cream), so it’s one that I’m very familiar with. 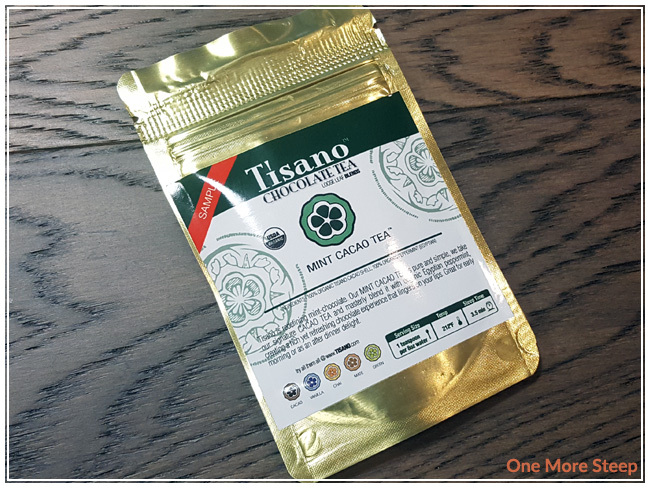 When I saw that Tisano had sent me a sample packet of Mint Cacao Tea, I was very excited. Ripping open the packaging, I was first welcomed by the smell of chocolate and mint. If After Eight chocolate was ever made into a tea blend, I think this would accurately represent the aroma of that candy. 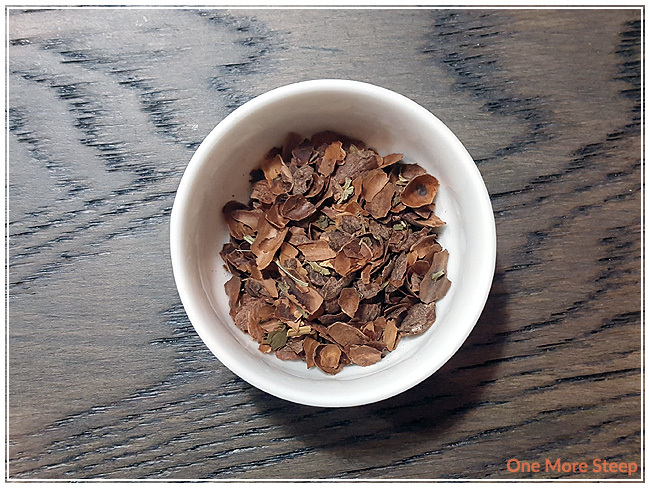 Mint Cacao Tea consists of cacao shells and Egyptian peppermint. I’ve never had Egyptian peppermint before, but it has the crisp, refreshing aroma of mint that I’m used to. Tisano recommends steeping Mint Cacao Tea in 212°F (100°C) water for 3.5 minutes. I followed the steeping instructions for the initial steep. Mint Cacao Tea steeps to a golden orange, and has a mostly chocolate aroma that wafts up from the tea. I smell a hint of mint, but it’s primarily the chocolate that comes through. 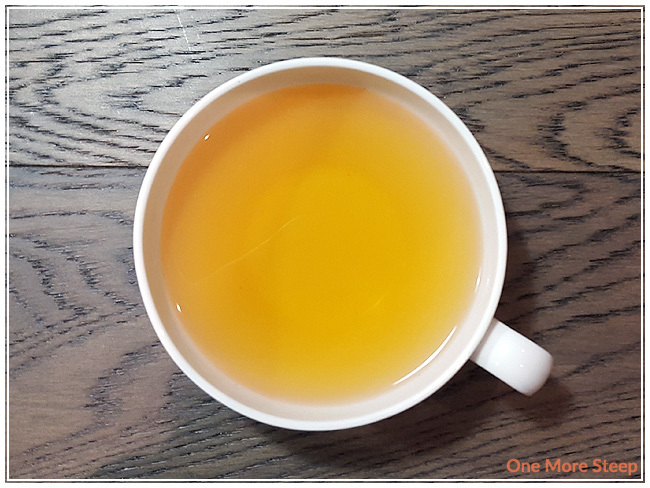 On first sip, it reminds me a lot of the Original Cacao Tea that I reviewed previously, with just a touch of mint that shines through. There’s a touch of bitterness to this cacao blend, that reminds me a lot of dark chocolate. I found myself searching for the mint at times. I added a touch of cream to Mint Cacao Tea and found that it helped with the bitterness, which allowing the mint to come through a bit more. There’s not as much sweetness as I was hoping to find in a chocolate mint tea, but a little bit of honey helped bring out the chocolate flavour a bit more. 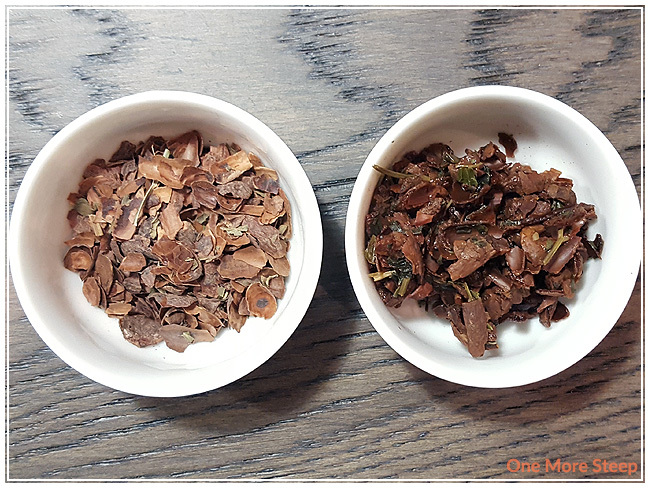 I attempted to resteep Mint Cacao Tea and found that the mint chocolate flavours was quite watery compared to the first steep, and would say that Mint Cacao Tea is good for one steep only. I thought that Tisano’s Mint Cacao Tea was just okay. I found myself wishing that there was more mint in the flavour of the tea, but the addition of honey and cream helped the blend to taste more like a hot mint chocolate. The aroma of the dry leaf is amazing and reminds me just like mint chocolate candy, and it smells quite a bit like chocolate (with a touch of mint). With a bit more peppermint or mint extract, I think this would just hit the spot.